Joshua Tucker: The following is a guest post from political scientists Kenneth Scheve (Stanford) and David Stasavage (New York University). When was the last time a 700-page tome of economic history outranked the “10 Day Detox Diet” on the Amazon top sales list? After receiving widespread attention in his native France, Thomas Piketty’s “Capital in the Twenty-First Century” has received even greater attention on this side of the Atlantic, and deservedly so. It offers a stark and depressing picture for those who believe that some combination of democratic politics and economic growth can protect us from rampant inequality. If Piketty is right, then we are instead faced with an infernal logic of r>g, that is, in most cases at most times the rate of return on capital (“r”) exceeds the rate of economic growth (“g”), and this dictates increasing inequality of wealth. Since wealth inequalities are transmitted over time, the conclusions are also negative for anyone interested in equal opportunity. Over the past 15 years, Piketty has led a movement to consider inequality over the long run. Before his work, much of what we knew about income inequality was based on survey data that extended back to the 1960s at best. 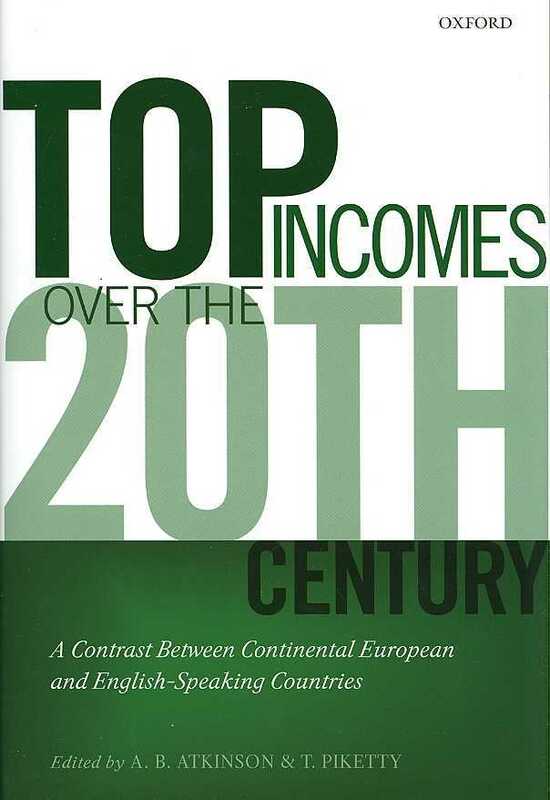 Piketty shifted to using data from tax declarations, and in 2001 he published a massive volume on inequality in France between 1901 and 1998. He concluded that the major reductions in income inequality in France had taken place in in the tumultuous years between 1914 and 1945 as a result of wartime inflation and heavy tax levies on the rich. Steady progress in an industrial economy had little to do with it. Piketty’s work with Emmanuel Saez subsequently suggested a similar conclusion for the United States, and this was repeated elsewhere, in particular in work led by Piketty and Anthony Atkinson. “Capital in the Twenty-First Century” extends Piketty’s vision by considering wealth inequality over the long run. As with his earlier work, the main conclusions were drawn first from work on wealth and inheritance in France. “Capital” extends the inquiry to a much greater set of countries. Piketty concludes that the reduction in wealth inequality observed in many countries during the middle of the 20th century may turn out to have been but a hiatus. Throughout history, r has generally exceeded g. The exceptions have involved cases where inflation or high tax levies led to a deconcentration of capital, or where convergence forces led to g temporarily exceeding r as a country’s per capita income caught up with that of others. For Piketty, the principal way to avoid this outcome is to have increased, and increasingly progressive, taxation of capital. The above policy recommendation highlights one of the many questions raised but not answered in this book that should be engaged by political scientists: If we habitually associate democracy with greater equality, then why don’t democracies implement policies that lessen the difference between r and g? Now, sometimes democracies do implement such policies. As Piketty notes, the 20th century saw the advent of progressive tax rates with high taxes on top fortunes and top incomes. But as we all know, the more recent trend has been for countries to lower such taxes, and the phenomenon is not specific to the United States. Even Sweden has abolished its inheritance tax. Finally, as we have found, the advent of electoral democracy actually had little effect on taxes on the rich. So why hasn’t democracy saved us from Piketty’s world of inequality? Assuming that Piketty’s analysis is correct, and this certainly remains to be determined, here are at least four potential answers. The first possibility recently considered by Bonica, McCarty, Poole, and Rosenthal is that the rich can buy the policies they want even in a democracy. This is a story that is told most often for the United States, where the role of private funds in public campaigns is so important. Precisely because it is cross-national, Piketty’s empirical evidence raises questions about this explanation. The logic of r>g, combined with low taxes on capital, operates in many countries where private money plays a limited official role in politics. So, in order to be convincing one would have to formulate an argument about the informal power of the rich in any democracy, and not just in one like the United States. The second possibility is that democracy has done little to save us from r>g because people do not fully understand how inequality is generated. They may also remain intentionally overly optimistic about the chances of getting ahead. “Belief in a Just World” arguments of the sort considered by Benabou and Tirole are often used to explain why the average American is more likely than the average European to say that effort, as opposed to luck, is the key determinant of economic success, even if intergenerational income mobility is not higher in the United States than in Europe. The evidence also poses problems for this second explanation. The logic of r>g, combined with low taxes on capital, is not a specifically American phenomenon. The third possibility is that trying to prevent the r>g trap is self-defeating. Taxes on wealth and income may limit growth. Also, globalization and capital mobility may make it impossible to heavily tax wealth and high incomes. A problem with this explanation is that even when many democracies did tax the rich heavily during the middle decades of the 20th century, there were concerns expressed about taxation harming growth, but governments such as the United States and United Kingdom did it anyway. Also, contemporary economic research seems to provide little evidence to validate the belief that taxes would hurt growth to the extent so often feared. Finally, if globalization seems a plausible explanation for low taxes on capital, it is less compelling for the case of high-income earners. Especially in large countries, such as the United States, these individuals tend not to be as mobile, and, as Piketty argues, policy coordination between countries could address this problem. The fourth possibility is that democracies sometimes tax the rich heavily, but whether this happens depends on changing notions of fairness in taxation. Over the last two centuries, as we have shown, the strongest political support for heavy taxation of the rich has been during mass mobilization for war. If the wealthy appeared to have a privileged position by staying at home and potentially earning war profits, then basic fairness dictated that they should be taxed — and taxed heavily. During the First World War this was often referred to as the “conscription of wealth.” If labor could be conscripted, then why should capital not suffer the same fate? Today, Piketty is in effect calling for a new conscription of wealth. The question for him and those who support his analysis is how one might support this same conclusion on the same grounds of basic fairness without war or certainly without wars fought with mass mobilized armies. The future of progressive taxation will depend on showing not just that it is necessary to curb inequality, but also that without it the rich would not be doing their fair share.